Fibre science and technology / edited by V. I. Kostikov. Call number: 620.197 FIB Material type: Book; Format: print Publisher: London : Chapmen & Hall, c1995Online access: Click here to access online Availability: Items available for loan: BSTI [Call number: 620.197 FIB] (1). Agricultural and synthetic polymers : biodegradability and utilization / J. Edward Glass, Graham Swift. by Glass, J. Edward | Swift, Graham | American Chemical Society. Meeting (197th : 1989 : Dallas, Tes.). Call number: 620.19204223 AGR Material type: Book; Format: print Publisher: Washington, D.C. : American Chemical Society, 1990Online access: Click here to access online Availability: Items available for loan: BSTI [Call number: 620.19204223 AGR] (1). Polymer mixing : technology and engineering / edited by James L. White, Aubert Y. Coran, and Abdelsamie Moet. by White, James L | Coran, Aubert Y | Moet, Abdelsamie. Call number: 668.41 POL Material type: Book; Format: print Publisher: Munich: Hanser; Cincinnati, Ohio : Hanser Gardner Publ. ; c 2001Online access: Click here to access online Availability: Items available for loan: BSTI [Call number: 668.41 POL] (1). Injection molds :130 proven designs / Gastrow ; edited by Edmund Lindner and Peter Unger. by Gastrow, Hans | Lindner, E (Edward) | Unger, Peter. Call number: 668.412 GAS 3rd ed. Edition: 3rd ed.Material type: Book; Format: print Publisher: Munich : Hanser Publishers ; Cincinnati, Ohio : Hanser Gardner Publications, c2002Online access: Click here to access online Availability: Items available for loan: BSTI [Call number: 668.412 GAS 3rd ed.] (1). by Henneuse-Boxus, C | Pacary, T | Rapra Technology Limited. Call number: 668.404 HEN Material type: Book; Format: print Publisher: Shrewsbury, shropshire : Rapra Technology Ltd., c2003Online access: Click here to access online | Click here to access online Availability: Items available for loan: BSTI [Call number: 668.404 HEN] (1). 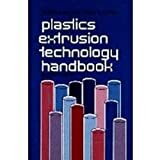 Practical guide to adhesive bonding of small engineering plastic and rubber parts / Bob Goss. Call number: 668.4 GOS Material type: Book; Format: print ; Literary form: Not fiction Publisher: Shrewsbury, Shropshire : Smithers Rapra, c2010Online access: Click here to access online | Click here to access online | Click here to access online Availability: Items available for loan: BSTI [Call number: 668.4 GOS] (1). Biodegradable and compostable packaging materials for foodstuffs : Review no. 64 / D. Cava and A. Campbell. by Cava D | Campbell, A. Call number: 620.1 CAV Material type: Book; Format: print Publisher: Gloucestershire, UK : Compden BRI, c2010Online access: Click here to access online | Click here to access online Availability: Items available for loan: BSTI [Call number: 620.1 CAV] (1). Budgeting, costing and estimating for the injection moulding industry [electronic resource] /Peter Jones. by Jones, Peter | ebrary, Inc. Analysis of Plastics (Rapra Review Reports 149), Volume 13, Number 5, 2002 [electronic resource]/Martin J. Forrest. by Forrest, Martin John | Rapra Technology Limited | ebrary, Inc.
Life Cycle Assessment and Environmental Impact of Polymeric Products (Rapra Review Reports 156), Volume 13, Number 12, 2003 [electronic resource]/T.J. O'Neill. by O'Neill, T. J | ebrary, Inc.
by Levy, Sidney | Carley, James F.
Call number: 668.413 LEV 2nd ed. Ref. Edition: 2nd ed.Material type: Book; Format: print Publisher: New York, N.Y. : Industrial Press, c1989Online access: Click here to access online Availability: Items available for reference: [Call number: 668.413 LEV 2nd ed. Ref.] (1). Call number: 668.4 BPFc Ref. Material type: Book; Format: print Publisher: London, 1978Availability: Items available for reference: [Call number: 668.4 BPFc Ref.] (2). Call number: 668.490212 GUI 1985 Ref. Material type: Book; Format: print Publisher: New York, N.Y. : McGraw-Hill, 1985Online access: Click here to access online Availability: Items available for reference: [Call number: 668.490212 GUI 1985 Ref.] (1). Call number: 668.412 MEY Ref. Material type: Book; Format: print Publisher: New York, N.Y. : Chapman and Hall, c1987Online access: Click here to access online Availability: Items available for reference: [Call number: 668.412 MEY Ref.] (1).